There's not a lot to go on here, but Lenovo's official Twitter account posted pictures of two products that are purportedly being revealed in more detail later this week. The IdeaCentre Q100 / Q110 nettops are said to be "some of the thinnest nettops in the world," and while the teaser image is certainly a looker, for better and for worse we can already smell the Atom processor from here. 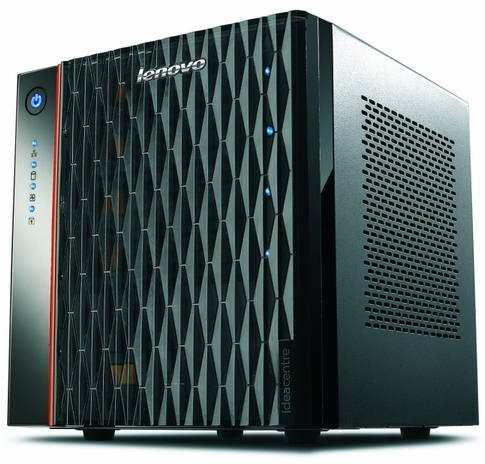 Also on the menu is the IdeaCentre D400, the company's first home server. We Got Served did a little digging, and as it turns out, the D400 was released in Asia at the beginning of this month, with four hot swappable bays, four USB ports, and an eSATA port. It'd be nice to know when this week Lenovo was planning to lift the veil of secrecy, but at least we won't be worrying about it come Saturday.